You find the Hotel Limmathof in the very spot where the romantic old part of town meets the business world of modern Zurich. A historic house, in which businesspeople and tourists feel at home the very first minute of their stay. Hotel Limmathof offers conveniences to suit all your needs: Bath/shower/WC telefone breakfast room TV lounge. Restaurant Pot au Vert (vegetarian) Restaurant Weinstube (swiss kitchen). I stayed at the hotel for 2 nights and booked a single room. I really enjoyed how close it was to everything and how safe and clean the area was. It's all a bit no frills and basic in terms of facilities. I did like the en-suite bathroom. There are plenty of restaurants and supermarkets round the corner to get food and any other groceries you might need. Overall it was a pleasant experience and the staff were very helpful. Very friendly staff and fantastic location near lots of public transportation. 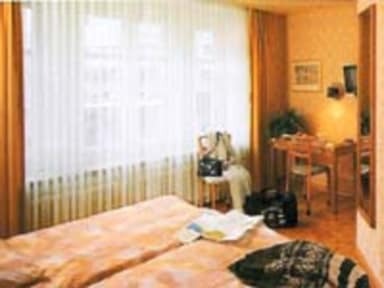 I stayed at this hotel for 2 nights on a weekend visit to Zurich as a solo female. This was my first journey by myself and. I honestly couldn't be more pleased with my experience here. I had a single private with an ensuite bathroom and the price was well worth the money. I felt completely safe inside the hotel and around it. The hotel is located directly across from the train station and central within the city. Wifi worked excellently. Only 1 plug was the only downside. They provide towels! Nice little hotel right by the train station. Overall it was very nice, I would stay there again. The hotel staff was very very friendly and cooperative! I would recommend this hotel to everyone. Considering the price paid, I would have expected better - No air conditioning (only a small desk fan provided to try and keep the room cool). Very outdated fixtures, furnishings and fittings in room. Staff were friendly and helpful, and free wi-fi. 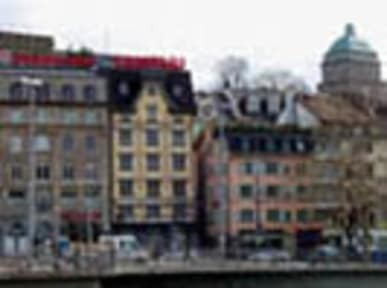 Location is great for access to the old Zurich, but there are plenty more hotels in the immediate vicinity. Also not the hotel's fault, but major construction work going on right on the street outside the hotel's entrance. We showed up to the hotel expecting an inexpensive room which we booked for about €112. When we got there we were told the room couldn’t be occupied by 2 people and that we incorrectly booked it for only 1 guest. I distinctly remember putting 2 guests into our booking. Anyways, they would not let us take the room we booked so we had to pay over €170 for a “double” room. The room was small, had a horrible shower, no mini fridge, ugly decor, and bad bed. Definitely not even close to worth it. Poor facilities, poor security, not worth it.